The Head of the Democratic Front for the Liberation of Palestine in Ramallah, Ibrahim Abu Hijleh, who was arrested by Israel at the end of December 2002, has confessed to ordering DFLP squads to carry out terror attacks against Israeli targets. Abu Hijleh is a DFLP representative in the Palestinian National Council and his arrest by Israel was at the time condemned by the Palestinian Authority, who insisted that as “a member of the political echelon,” he should be exempt from arrest. During his interrogation, Abu Hijleh revealed the organization’s plans to assassinate a military judge, to kill a former senior officer in the Israel Defense Forces and to carry out a suicide attack, using a suicide bomber with an Israeli identity card. His interrogation revealed the circumstances that led to an attempted come-back by the DFLP. Abu Hijleh he said that in 2001, he realized that the DFLP had not been over-successful in its operations and that the reality now required the organization to upgrade its activities to include attacks against Israeli targets. The year 2002 and the beginning of 2003 were characterized by a series of DFLP operational failures in carrying out terror attacks, a fact which led to a decline in the organization’s popularity compared to that of the more “successful” Palestinian organizations, such as Hamas and Yasser Arafat’s Fatah cells. 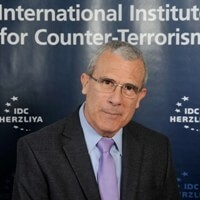 The obvious inability of the DFLP to perpetrate terror attacks, particularly in Judea and Samaria, and the series of failures in the Gaza Strip, necessitated a change in its modus operandi to allow it to act more aggressively against Israel in the contest which had developed between the Palestinian organizations as to which of them would succeed in perpetrating the most attacks. This contest developed out of the need to inflame Palestinian public opinion and demonstrate capability, thus gaining the support of the Palestinian street. From the outset, the DFLP was in a significantly inferior position relative to the popularity of the Fatah Tanzim on the one hand and the Hamas and the Palestinian Islamic Jihad on the other. At the end of 2001, a DFLP activist, Haytham ‘Antari, approached the organization’s offices and offered to carry out terror attacks in the name of the organization. Abu Hijleh instructed him to form a squad, which was declared operational in February of 2002. At that time, Abu Hijleh gave Haytham Antari three Kalashnikov rifles, three hand grenades and three rifle magazines. The weapons were the property of the DFLP office and the hand-grenades were purchased with funds received from the organization. ‘Antari’s attempted attacks ended in total failure. Not only did his cell fail to inflict casualties on the Israelis, but Antari had the unfortunate duty of informing Abu Hijleh that two members of the squad had been arrested captured by the P.A.’s security forces and their equipment confiscated. Abu Hijleh appealed to a senior member of the P.A., saying that the squad did not intend to challenge Arafat’s authority, and the two were released the same day. In co-ordination with Abu Hijleh, ‘Antari then carried out several additional shooting attacks, which again, ended without casualties. In one of the attacks, members of the cell shot at the car of a European diplomat. Abu Hijleh continued to supply ’Antari with weapons. Abu Hijleh also told his interrogators of a plan to perpetrate a suicide attack by a Palestinian woman from Ramallah, who had an Israeli identity card. The suicide bomber was arrested by the Israel Security Services in January 2003 as a result of Abu Hijleh’s interrogation. The case of Abu Hijleh exemplifies the dualism that exists within the framework of the Palestinian Authority, whereby political leaders, while ostensibly serving as representatives of the Palestinian institutions, are at the same time directing terrorism. This dualism reflects a continuous operational pattern of the Palestinian organizations, which exploits the status of senior activists as “political figures” as a cover for terrorist activities. The strategy is based on the erroneous assumption that their political position will grant them immunity. The division between the political and operational echelons is an artificial one, intended to allow the organization to act with impunity within the framework of the strategy of the “double game”– negotiating peace while making war.